Halloween is tomorrow so this is the last countdown. To wrap up our countdown are our old friends in the Muppet Labs. This time Dr. Bunson Honeydew has come up with a way to solve all your pumpkin carving problems. Carving a pumpkin is a chore having to cut it open, empty out the insides, and carve a suitable face on it (tip carve a hole on the bottom so your pumpkin goes right over the candle or light). 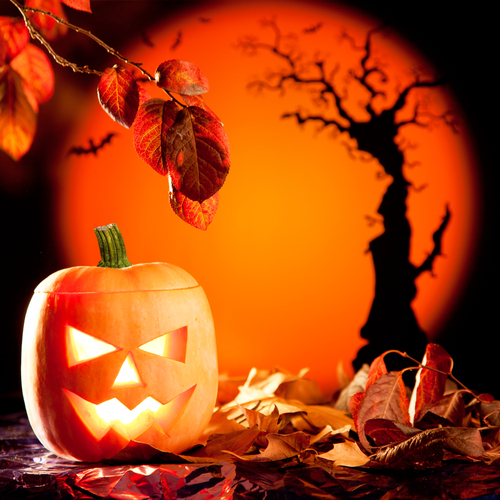 Many opt for the ease of premade or fake pumpkins. But not any more! Dr. Honeydew has solved it all. And now for the demonstration. SS Eastland Had Greater Loss of Life Than Titanic But Forgotten-Why? 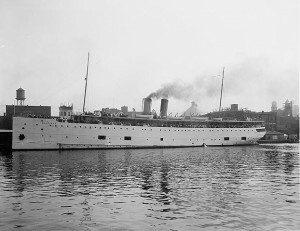 Susan Q. Stranahan writing for Smithsonian Online gives an excellent account of the tragic events of the SS Eastland, which rolled over while docked in the Chicago River in 1915. The death toll was appalling and most of those who died were under 25. It was a sensational story in the papers yet it faded. The Titanic, which sank in 1912 is still remembered today while Eastland is just barely remembered. So what happened? Titanic became a symbol for the age she was built in, part Gilded Age, industrial, and the last embers of the Victorian and Edwardian eras. The ship became iconic and achieved immortality, something rare in historical memory. James Cameron’s movie cemented that in recent years. And the high money fetched in authentic Titanic memorabilia shows how strong that memory still is. Mention things like the Children’s Blizzard (1888), the General Slocum disaster(1904) or the 1918 flu pandemic and you get stares. Mention things like the San Francisco Earthquake of 1906 and that still has historical memory especially for people in Northern California that still live in its shadow. One argument for the loss of Eastland memory is that there was no one rich or famous aboard. Possible but I do not think that is why it is forgotten. It is forgotten perhaps because the tragedy never reached a certain level that ingrained itself like some disasters do. Why is it that an old Great Lakes freighter is remembered while other ships that sank in those cold waters not? A song by Gordon Lightfoot called Wreck of the Edmund Fitzgerald. While some knew about the tragedy in the news, it was this song that put it into a national consciousness. Titanic had books, songs, plays and movies. The Eastland has a few books, historical societies, newspaper records, and testimony at hearings. Yet it got no national memory because while tragic it simply did not stick into the historical memory. We may never know exactly why. And that is what historians and historical societies are for, to make sure such things do not pass into the realm of forgotten. And even if there was someone famous or rich on Eastland that day, that is no guarantee it would be remembered beyond a certain radius. Historical memory can be shocking in its forgetfulness. All we can do is try to shine a light on what happened so that people do not forget what has happened before. 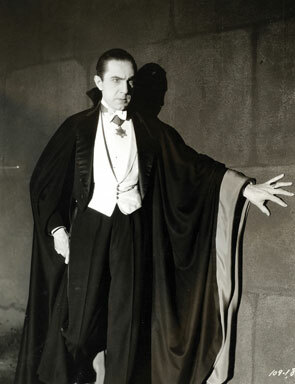 Bela Lugosi had played Dracula on stage prior to his casting in Tod Browning’s 1931 movie Dracula. Standing at 6 foot 1, he had a commanding presence and the fact he was Romanian (where Transylvania is located)added to his mystique. He was able to show Dracula as alluring on one hand, dangerous on the other. And many consider his performance still to be one of the best though the movie itself gets panned by many horror movie enthusiasts. For Lugosi it was both a blessing and a curse. He would forever be associated with the role that brought him such fame but kept him stuck in horror movies. He found it very difficult to get roles outside of the genre. He was cast by Universal in a few movies as a good character: The Black Cat (1934),The Invisible Ray(1936), and the movie serial The Return of Chandu(1934). However it did little to overcome the shadow of Dracula. His addiction to methadone also affected him getting jobs and by the 1950’s was almost broke. Ed Wood planned to cast him in several features but only appears in Plan 9 From Outer Space(1959) arguably one of the worst movies of all time. And his scenes were done for another Wood movie and Lugosi had died by the time this movie was released in 1959. Lugosi passed away in 1956 from a heart attack and was buried in a Dracula cape (his fifth wife and son made that decision). And now here is Bela Lugosi greeting his guest in the opening scenes of Dracula. Francis Ford Coppola borrowed from this opening in his movie treatment of the same character. 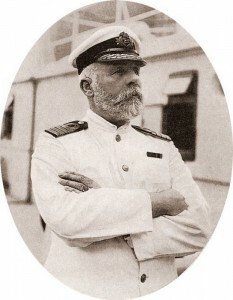 According to Daily Mail, the records of Titanic captain Edward J. Smith and members of his crew are among records now available online at http://www.ancestry.co.uk/. This is not a free site although you can get a free 14 day trial and then a monthly fee will apply (see terms and conditions for either the US or UK sites for details). However you can go to Encyclopedia Titanica and find a great deal of information without having to pay a monthly fee. One of my favorite stories is Washington Irving’s Legend of Sleepy Hollow. There have been many film and tv adaptations over the years. One of my favorites is Tim Burton’s Sleepy Hollow with Johnny Depp and Christina Ricci. While it deviates from the original book it does so in a way that does justice to the source material. And I think Headless looks even more scary in this treatment than on the Fox tv show. There was nothing really nice about him in life, who happily lopped off heads until his own was finally taken from him. He was brought back from the dead to wreck vengeance on Van Tassel and his family. The tv version has twisted the theme into a war between good and evil with Headless being a horseman of the apocalypse. Entertaining but going this route may end up driving people batty over the confusing mythologies being employed and intertwining with Book of Revelations. At any rate here is the official trailer for this movie. I am not sure the official rating but no actual violence is shown (you are not going to see heads chopped off in the trailer)but plenty of action. A good movie to watch on Halloween. On 22 September 1914, three British Royal Navy Cruisers–HMS Cressy, HMS Aboukir and HMS Hogue–were sunk while on patrol near Ostend. One German U-boat, the U9, sank all three. 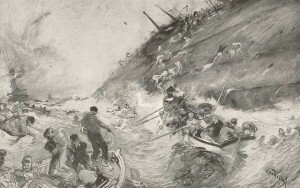 From all three ships 837 men were rescued and 1,459 men perished ( 62 officers and 1,397 enlisted men). There was a huge outcry at the time at the large loss of life caused by a U-boat, which up till then were not taken that seriously as a threat. It hurt the reputation of the Royal Navy and forced them to implement stringent anti-submarine tactics after that. The German U-boat commander was given a hero’s welcome and the submarines would prove to be a threat to British shipping. In 1954 the British government sold salvage rights to a German company which eventually ended up being acquired by a Dutch company. And that company has been salvaging metal from the ships since 2011. This has caused in uproar in Chatham, where a large number of those who perished came from. Now there is demand from local leaders for the government to declare the wreck site as a war grave under the Protection of Military Remains Act. The argument is that if Titanic is a grave, then the remains of three Royal Navy cruisers ought to be as well. So far there is no reaction from the British government and the company that has the salvage rights would likely fight any attempt to interfere with their ability to salvage. Halloween season is a good time to check out the ghosts of YouTube, which is really watching videos that claim to show supernatural activity. There are a lot of these videos, some first person and others presented in a documentary style. Some are spooky and sometimes scary. Sometimes a ghost is seen and other times is of the poltergeist variety. Since we are limited by what is shown, and cannot verify the circumstances of the incident, one must be cautious in accepting them as truth. It is very easy to post images that look real but are not. Consider Slender Man , a fictional character created by Eric Knudsen who posted them under the name of Victor Surge in the Something Awful forum. It became wildly popular and fed into the Shadow Men stories that you read in ghost forums or hear on radio shows like Coast To Coast AM with George Noory. Another one I viewed appeared to have an office being ransacked by an invisible entity. Chairs were moved, file cabinets opened and closed, in basket contents tossed on floor and doors being closed. Except nothing shown could be proven as supernatural. Special effects people have been doing this stuff for years in movies and tv shows. One of the more popular videos concerns a screaming ghost at a hotel. Our point of view are security cameras and we hear the voice of someone talking to another party about screaming sounds coming from a room no one is occupying. So a man is dispatched to check it out. We see him exit the elevator and head towards the room. Not only does he hear the screams, but we do as well. Which is odd since the security cameras have no microphones, so we must be hearing them from the man outside the room. His communication device looks like a standard hand-held device which requires you to press a button to talk. He might be pushing the button to allow us to listen but we cannot really hear what he is saying as the dispatcher is relaying what the person is saying to another party. The room is supposed to be empty and screams are coming from it. At this point you have no idea what is on the other side of the door. It could be someone depressed, in a state of inebriation, or someone high on drugs. The dispatcher advises the man to wait and call the police, which is the sensible course of action here. For reasons unexplained, the man enters the room anyway using a flashlight. Now why did he not turn on the lights? Some speculate he could not do that as the room key activates the lights. Even if that were true, that would be reason to wait for the police to arrive. You have no idea what is in there. The reason he enters the room is obvious: there is nothing in the room nor any sounds to frighten him. If he felt threatened in any way, he would wait for police. As it turns out the room has been trashed: carpets slashed, furniture tossed, and a shower running. We see a silhouette of something that could be a ghost exit the room and turn left. A light flickers on the right but not in the corridor where the entity is moving down. It looks like someone used the room for an illegal party, something hotels and motels deal with a lot. And why would a ghost bother to rip up a room in the first place? In the end you are left with more questions than answers and likely the film is an amateur attempt at showing a ghost (a grade d production) on film. There is another that claims a poltergeist has scared a dog and man. The man finds one of his dogs cowering under the bed and later hears a crashing noise coming from the attic. He investigates and finds something or someone has been going through his stuff. He puts down his camera and walks around. A large can sitting on luggage topples over and he runs away leaving his camera behind. The lights go out and then we see a motion, likely a gloved hand, striking the can. Poltergeist? Not likely. Using night vision is popular too since it allows you to see things that cannot normally be seen in the dark because it amplifies light from the lower end of the spectrum. So naturally a ghost might be seen except the one I saw appeared as a black object (an image of a woman in 19th or early 20th century clothes). While everything else was amplified, the apparition appeared as a black image being superimposed on the night vision image, which made me suspect it was a fraud. Not everything is a fraud, some purported images can be nothing more than tricks of light, dust particles, and sometimes our desire to find a ghost. In other words we see something we do not understand and think it might be ghostly. Perhaps it or is not. I have no idea whether ghosts are real or not but one must carefully examine evidence and exclude everything plausible to end up believing it was a ghost. Ghost hunters love to go to houses, cemeteries, and other places to find ghosts. And they often claim they do. Except as Paul McCaffrey notes in Skeptical Briefs*, most do not use the proper scientific method. In his study of an alleged haunted Harper’s Mansion in Australia, the team spent a lot of time examining the environmental conditions over a longer period of time than most ghost hunters do. This allowed them to have a baseline of what is normal for the house and what would stand out. They had teams check out everything, cameras to record movement, sensors to detect changes in temperature. The house was made secure so no one could enter or leave during the tests and drapes closed. They did this for four months. And while there were times that could have shown something out of the ordinary, examination of the audio and video data did not find evidence of supernatural activity. 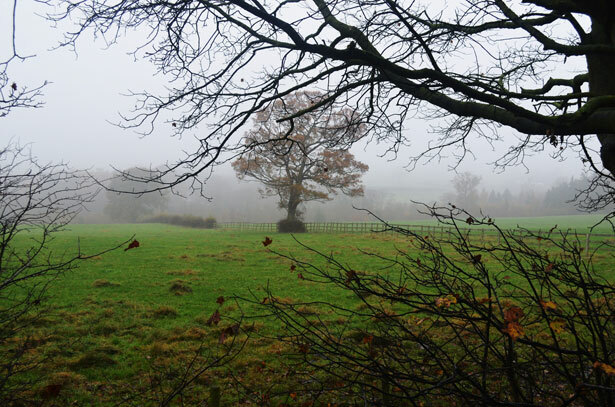 There were no unexplained disturbances on the audio or visual recordings, Unusual noise often turned out to be something outside like a car, dog, people talking, footsteps, or wood cracking. So in the end the ghosts of YouTube can be fun and scary too watch, just remember that a lot of it is just entertainment. Especially the ones that say they are true.